I have previously posted about exploring the more muddy sites in Flushing’s Penryn River and also about catching fish with a net from the quay (here and here). This weekend had a good tide and I decided to combine the two by climbing down from the quay with my net. No blue water and clear, colourful rock pools but black mud, waste from fishing boats and in general a lot of crap, not a pretty sight/site! 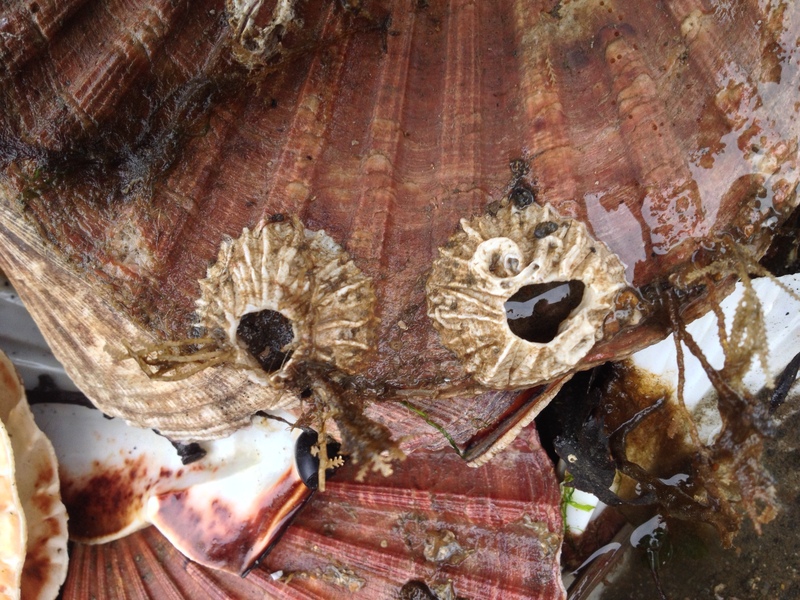 Mussels and (native) oysters, rock gobies, fan worms and estuary sponge are common here. Lifting one piece of waste, i found a juvenile Eel Anguilla anguilla, which was impossible to grab and place into my cuvette for a proper photograph. One cool find were bundles of squid eggs (no idea about the species). I also found tangles of the sponge Sycon ciliatum, which before I had only seen as individuals hanging from seaweeds (see here). Also visible are some Leucosolenia botryoides sponges. 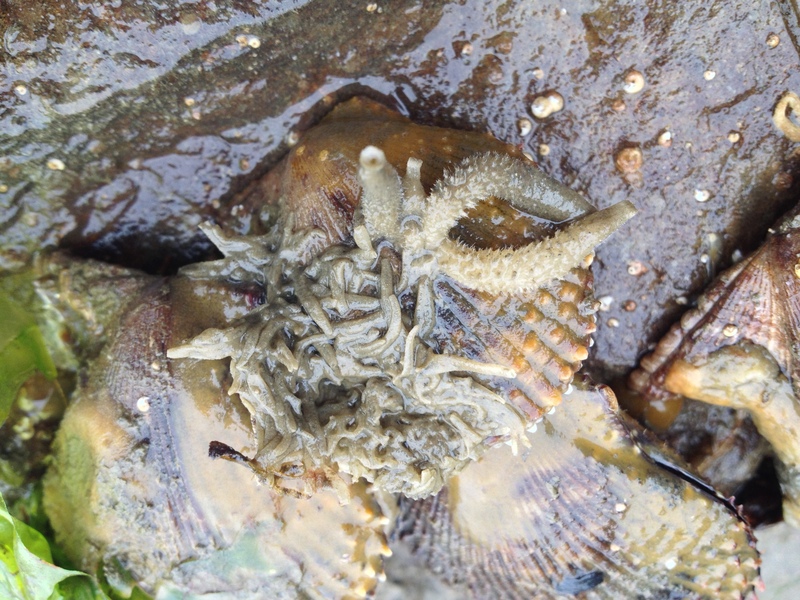 There was a heap of discarded scallop shells; I noticed they were covered by large Balanus balanus barnacles as well as the soft coral Dead man’s fingers Alcyonium digitatum (I had never seen this before but this could only be one thing!). 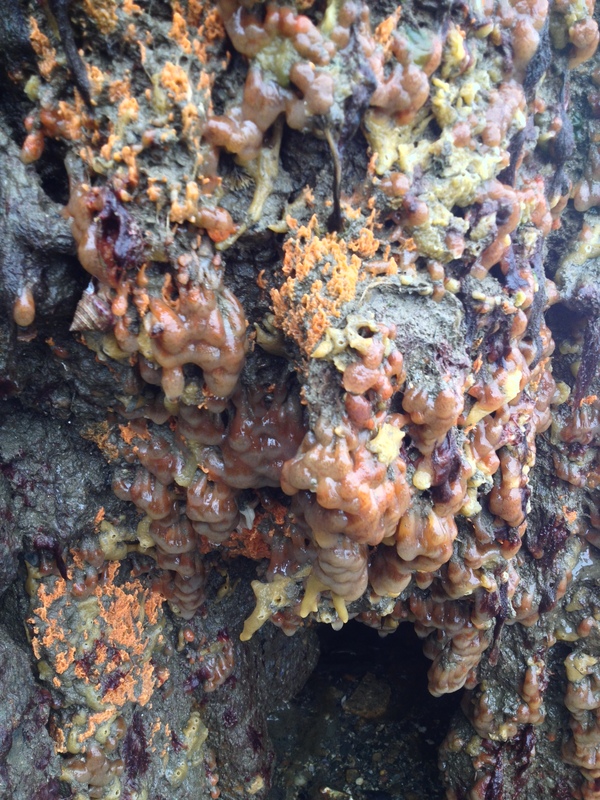 The lower parts of the quaysides were covered in estuary and breadcrumb sponges and especially in droopy Morchellium (or Aplidium?) 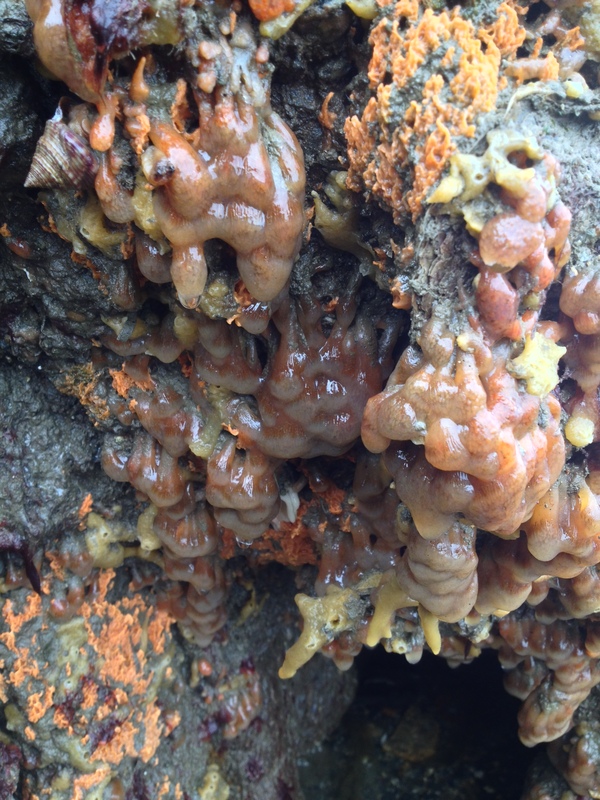 sea squirts. Although generally an ‘ugly’ habitat with lots of waste to boot, still plenty of interesting finds. This entry was tagged Alyonium digitatum, Anguilla anguilla, Balanus balanus, barnacel, Dead man's fingers, Eel, Leucosolenia botryoides, soft coral, sponge, squid, Sycon ciliatum. Bookmark the permalink. Hi Mick. Thanks for that. Checking Sycons did not match what I saw but your offering does.